1 tablet daily in the evening. 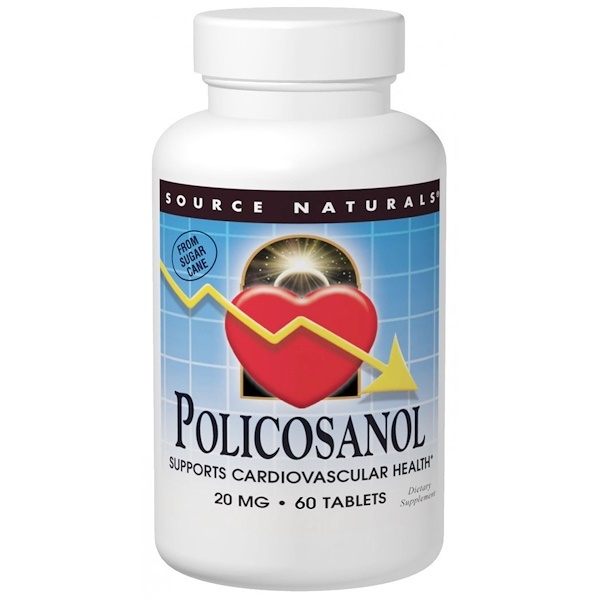 Source Naturals recommends that a minimum of 30 mg of coQ10 be taken per tablet of policosanol. Some research suggests that coQ10 levels in the body may be lowered by compounds that work on the same metabolic pathway as policosanol. If taking anti-platelet medication, such as daily aspirin, consult your health care professional before using this product. Do not use if you are pregnant, may become pregnant, or breastfeeding .